Studies have shown that firefighter protective clothing can pick up a number of highly toxic contaminants, putting firefighters at risk of developing long-term health disorders. And it’s not just clothing that picks up toxins, it’s also gloves, helmets and hoods. These toxins are then shared in common areas in the apparatus, in the firehouse and even in firefighter’s homes. The University of Arizona recommends spraying your gear off right after a fire scene. Practice routine cleaning, such as removing dry debris, rinsing gear with a water hose, and spot cleaning with a soft bristle brush. Wipe down your neck, face, head, and underarms following a fire. Inspect your gear for any wear and tear. The Lavender Ribbon Report: Best Practices for Preventing Firefighter Cancer, a joint collaboration between the National Volunteer Fire Council (NVFC) and the International Association of Fire Chiefs/Volunteer and Combination Officers Section (IAFC/VCOS), notes that PPE should prohibited in areas outside the apparatus floor. Never take contaminated clothes of PPE home and never store your PPE in your vehicle. The IAFC urges first responders to get an annual physical for early detection of health issues. At Fire-Dex, we offer gear and accessories to minimize repeated exposure to harmful carcinogens and other chemicals. The Interceptor Package™ combines three products to combat the elements and keep you safe. 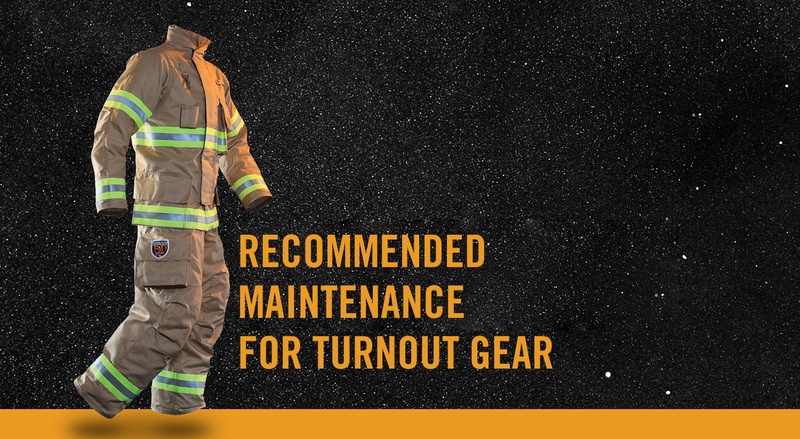 To help department keep track of their gear cleaning and maintenance, Fire-Dex offers GearTracker, an online NFPA 1851 Management Program. GearTracker is completely FREE, user-friendly and available for use by any department. Visit geartracker.firedex.com to get started. Our WE CARE initiative is an ongoing effort to build protection for you and your family in and outside the firehouse. Visit our web page for resources on mitigating occupational exposure to carcinogens and heat stress as well helpful tips for implementing your own decontamination procedure. Together, we can be the culture change.